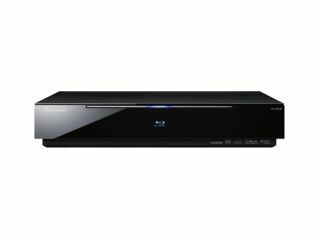 News about the BPD-LX71 and the BDP-51FD has been around some time, but Pioneer has surprised us all by announcing it is to release four new Blu-ray players this year. The aforementioned BPD-LX71 and the BDP-51FD will be Profile 1.1, meaning the systems will be able to play Bonus View content such as picture-in-picture commentaries and the like. A third Profile 1.1 player is also being released, called the BDP-LX08. All these players will be able to handle 1080p 24fps pictures, so Blu-ray discs should play 'as the director intended'. Audio-wise, the machines will play DTS HD Master Audio and Dolby TrueHD with 7.1 channel sound. Both the LX71 and the LX08 are part of Pioneer's 'luxury' range. The BDP-LX91 will be Pionner's first BD-Live player, and is set to arrive in UK stores this winter. As the BDP-LX91 is Profile 2.0, it is arguably the most future proof player from the range, but this really does depend on whether you are interested in BD-Live content, which will include live chat and access to internet-only special features. No prices have been announced, but expect the BPD-LX71, BDP-51FD and BDP-LX08 to land in stores in the autumn. The BDP-LX91 will be available in the winter.